Brought to you by Olay. All opinions my own. If you’ve been keeping up with me on Instagram, you know that I’ve been taking the #Olay28Day Challenge this past month. 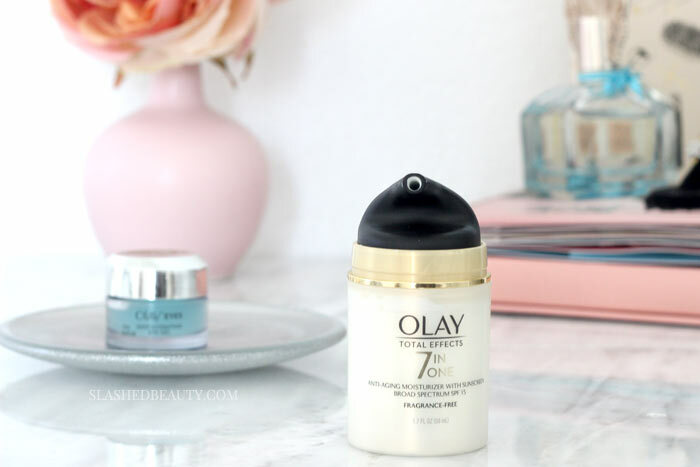 The challenge consisted of streamlining my skin care routine by using the Olay Total Effects Moisturizer with SPF 15 in the morning, and the Olay Eyes Deep Hydrating Eye Gel both morning and night. 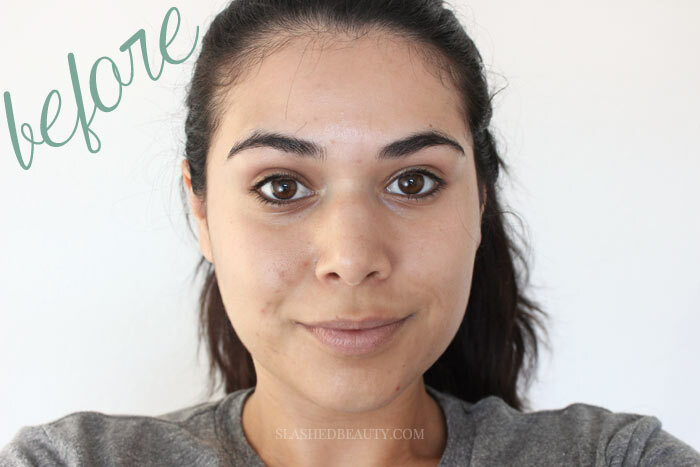 28 days… have I seen a difference in my skin? 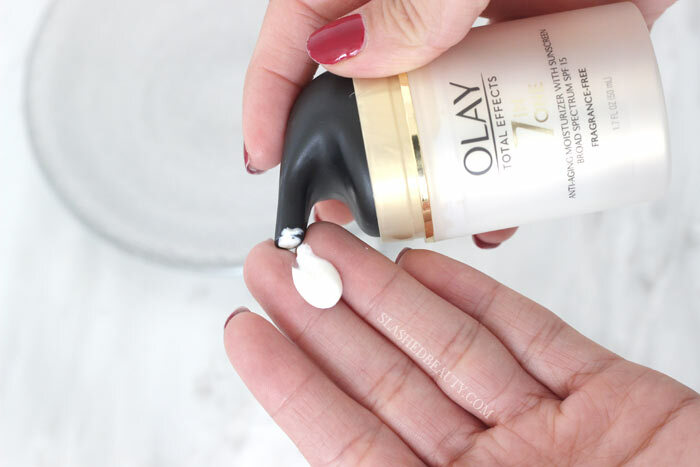 We’ve chatted a bit about the Total Effects Moisturizer with SPF 15 before… it smooths the skin, evens tone, brightens, reduces the appearance of pores, targets age spots, restores firmness, and moisturizes. Plus, with the SPF, you’re getting your daily dose of protection against the sun. Is there anything it can’t do?! The formula is thick, so a little goes a long way. With all of the benefits, this is truly a multi-purpose product that helps cut down on time and money while boosting skin health! 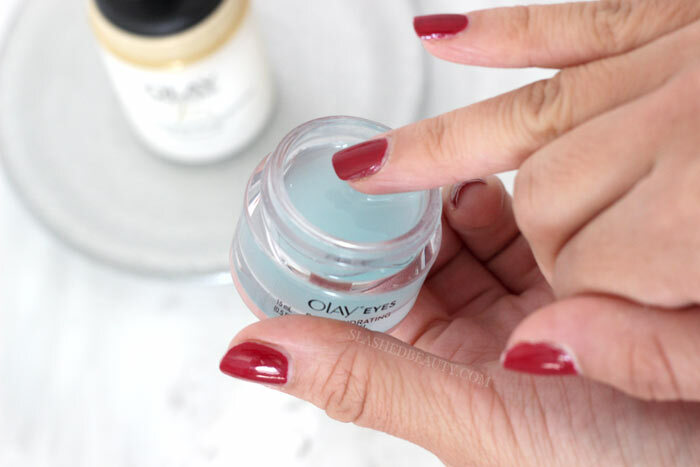 The Olay Eyes Deep Hydrating Eye Gel was a new one for me. I personally love gel formulas because they feel light, but can penetrate deep into the skin for intense moisture. The gel is super cooling, and the hyaluronic acid in the formula gives an instant wave of moisture. It absorbs into the skin quickly, which is perfect for when you’re using it in the morning before your makeup. I always feel like I look more refreshed after using it, and this gel never irritates my sensitive eyes. This was my skin at the beginning of the #Olay28Day Challenge. 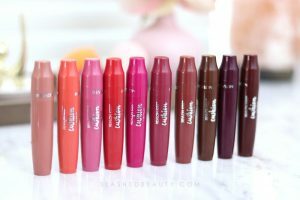 I had a few active blemishes, but my main concern was my skin tone and dark spots. Using the two products daily was easy to work into my routine. I had actually never thought about using eye gel in the mornings, but it was a step I enjoyed since it helped me look more awake. I really enjoyed the moisturizer which had my face feeling hydrated all day long under my makeup. Moisture is essential here in the desert climate, and my skin is still struggling to adjust. This routine definitely helped balance things out. After 28 days, look at my skin! Obviously the most drastic difference is the fading of my hyper-pigmentation and dark spots. Specifically, check out the spots that vanished going down my cheek on the left side, and on my forehead between my brows. 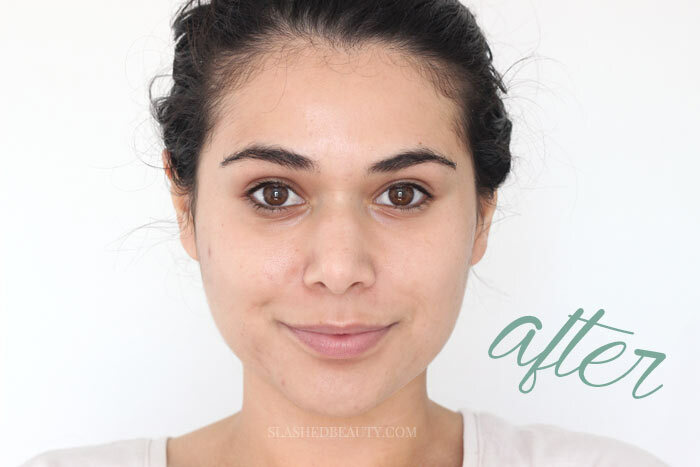 This is one of my main skin struggles following acne, so I was seriously impressed with the transformation. I also think the skin around my eyes looks more plump and firm, because they don’t look as sunken in anymore. These two easy steps made such a big difference. The last time I was using the Total Effects moisturizer, it wasn’t religiously. I knew it worked, but didn’t know to what extent. Now, I am obsessed. I encourage you to try your own 28 Day Challenge! You can visit the online Olay Skin Advisor, which will recommend custom products for your skin type and concerns. The first 15 people to visit the Skin Advisor will get $40 off their purchase of recommended products! Just use the code 28DAYS8740. Try it out for a month and see what results you see! I’m excited to hear about your own transformation. Have you tried incorporating either of these into your routine? Olay skincare is great! 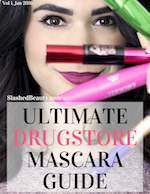 Some of the best at the drugstore. I see a marked difference, your skin looks fabulous! You are brave to try a new regimen before your wedding but it seems to have been perfect for you. There’s definitely a brightening effect. Luckily I had used the moisturizer before, just not as regularly as this particular challenge! You are so beautiful. Your skin looks fantastic.